What a catch! With its smiling, friendly expression and bright eyes, this dolphin is nearly four feet long from the end of its bottlenose to the tip of its flipper. 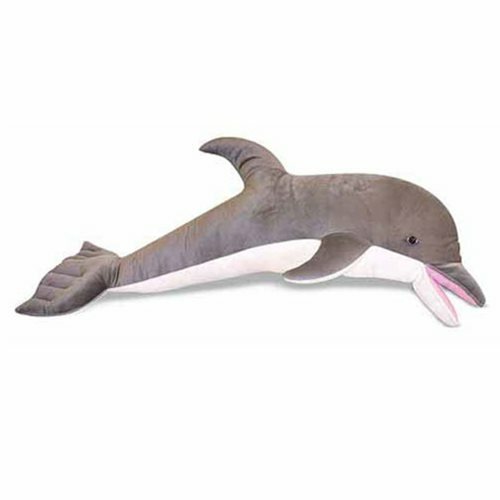 With excellent quality construction and attention to details, this lifelike dolphin will leap into your heart! Measures about 45-inches long x 18-inches tall x 14-inches wide. Ages 3 and up.